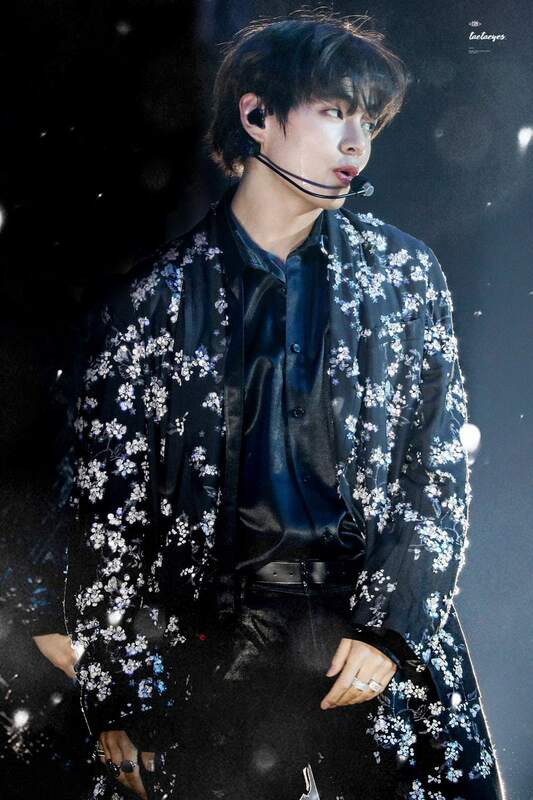 A new year is in, but we’re still obsessing over some amazing moments we experienced in 2018, and not gonna lie, there’s one in particular I think about maybe more than I should: BTS’s incredible wardrobe during their “Love Yourself” world tour. Whether you were able to attend one of the shows or experienced it through videos and photos, we can all agree every outfit is worthy of runway status. While trying to pick just a few favorites is a hard task, we put together a list of the ones that completely stole the show and of course, the internet. 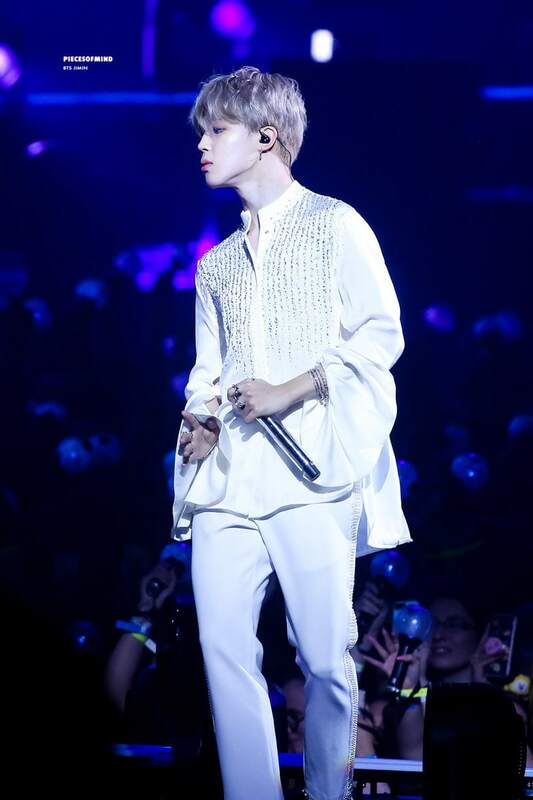 Simple yet stylish and classic, the “Love Yourself” tour T-shirts, both white and black, are a true statement and a piece of clothing we all want to add to our closets. They’re easy to combine — and you could even say a little normcore in comparison with past tour shirts — and multifaceted, as everyone can pull off the “Love Yourself” message. 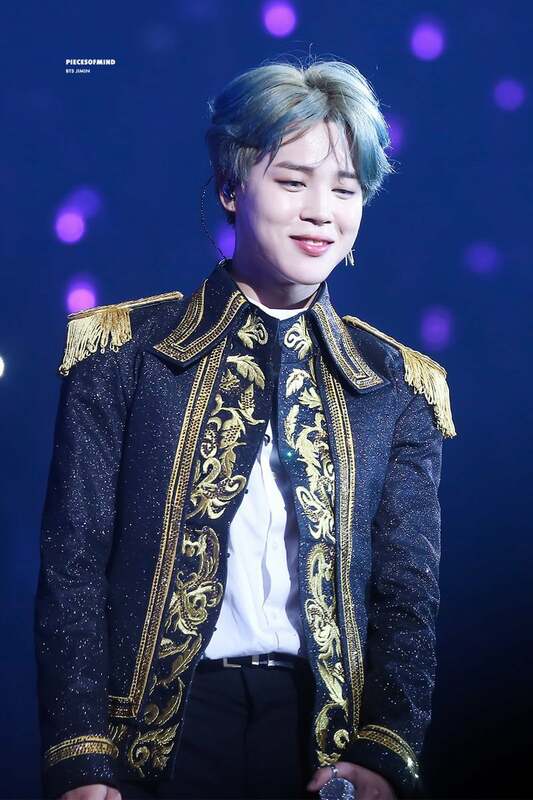 I’m not saying that he looks like an angel in this outfit, but that’s exactly what I’m saying. 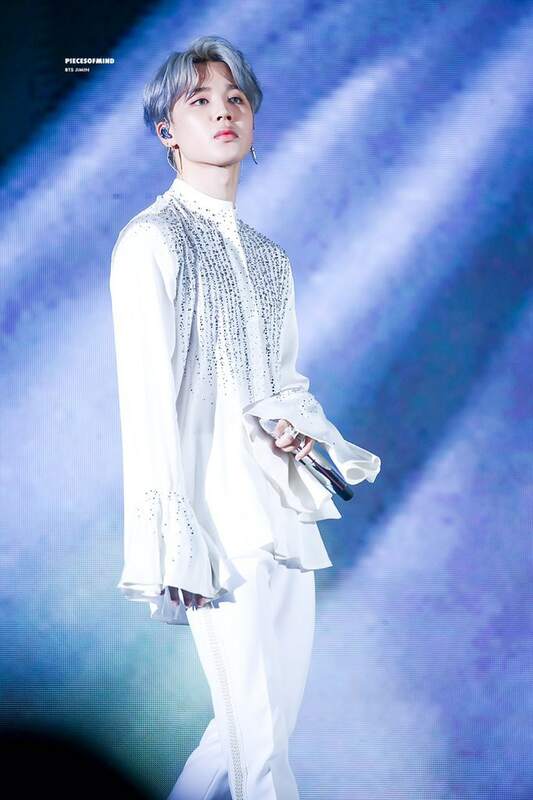 It’s just a matter of scrolling through Twitter to find thousands of shots of Jimin in this all-white outfit, and he looks just magical in each one of them. 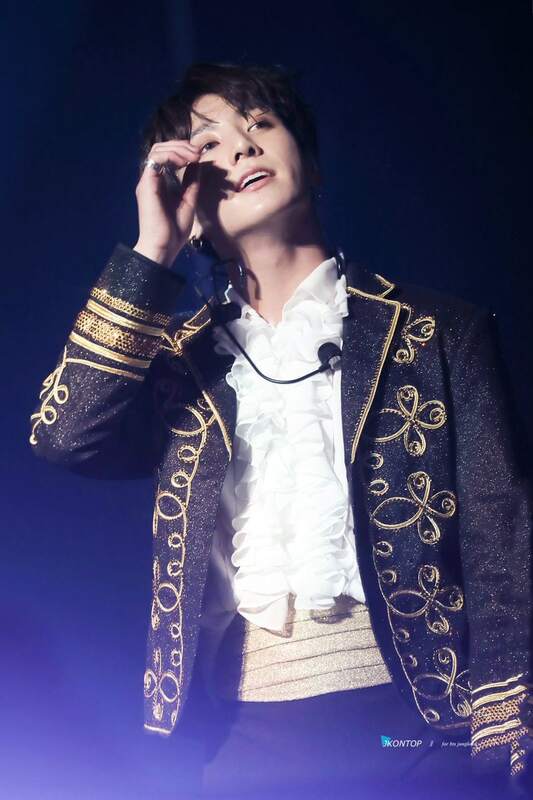 The loose fabric in combination with the small diamonds on top, the detail on the wrists, and the straight pants with pearls is just a sublime fashion moment during the concert. Is this outfit even legal? It’s such a statement, it’s hard to go back home to our wardrobes and find anything as cool and stylish as this. 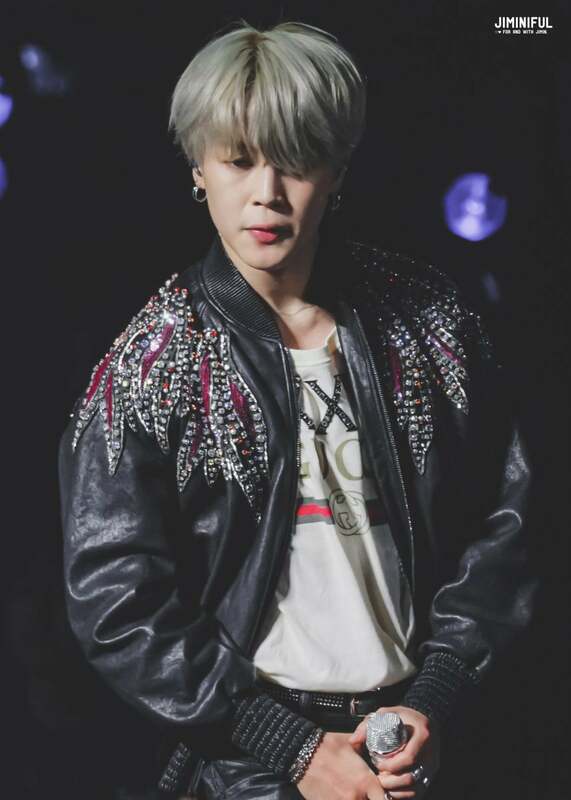 The personalized Gucci shirt plus the leather jacket with embedded gemstones and sequins paired with leather pants is one outfit for the books. 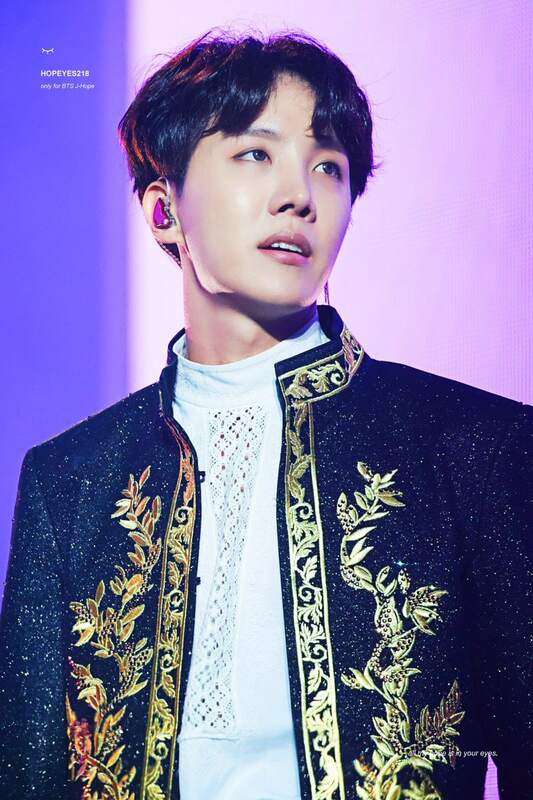 Is there anything J-Hope can’t pull off? This combo he shows up in during the middle of the concert is so full of details I don’t even know where to start. The full-leather situation, the silver fringe, the diamonds and beads on the collar and buttons, the studs, the Gucci bracelets… it’s just one of those cases when more is more, and we’re here for it. 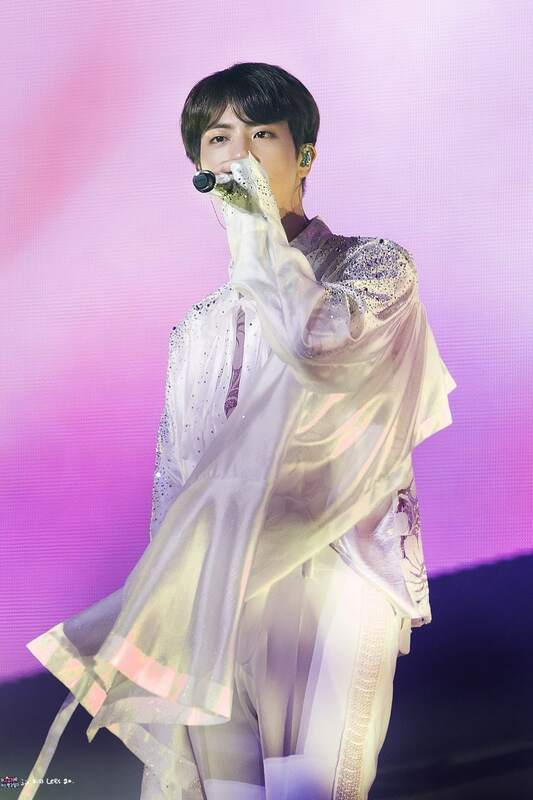 Yes, yes, all of them look breathtaking during the all-white stages, but there are a few details I certainly missed during the concert about Jin’s outfit, like the lace back and the pearls on the side of his pants. 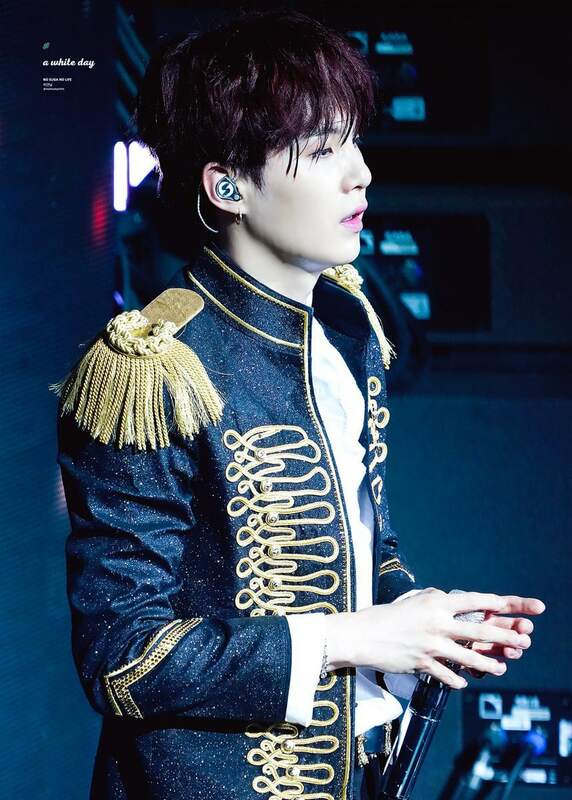 The way the air plays with the layers and the lights reflect on the jewels — which plays on his skin — make this outfit one worthy of all the fashion medals. V and robes are definitely an item. 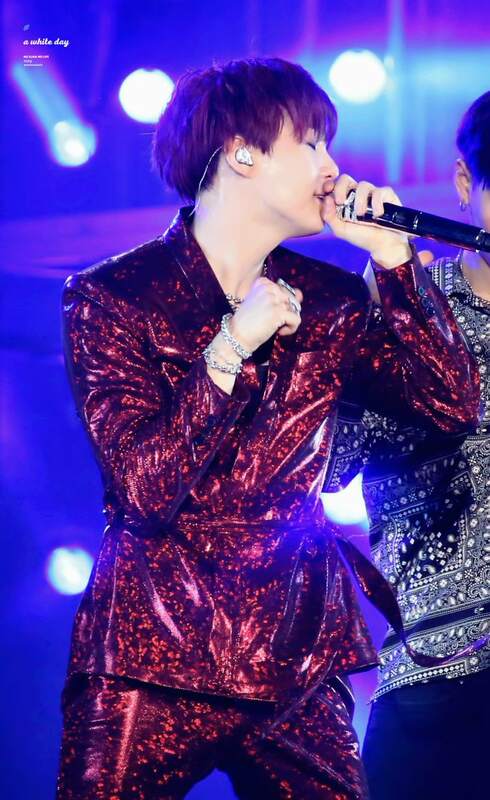 There’s no way anyone can look as flawless and stylish as he does in any pajama-inspired outfit. This one in particular is full of little details. Did you know the flowers on the robe are not painted or printed but actually sewn to the fabric? A true piece of art V perfectly pulls off. Another great robe moment brought to us by the leader himself. A simple outfit underneath crowned with a striped silk robe we can only dream about pulling off as nicely. 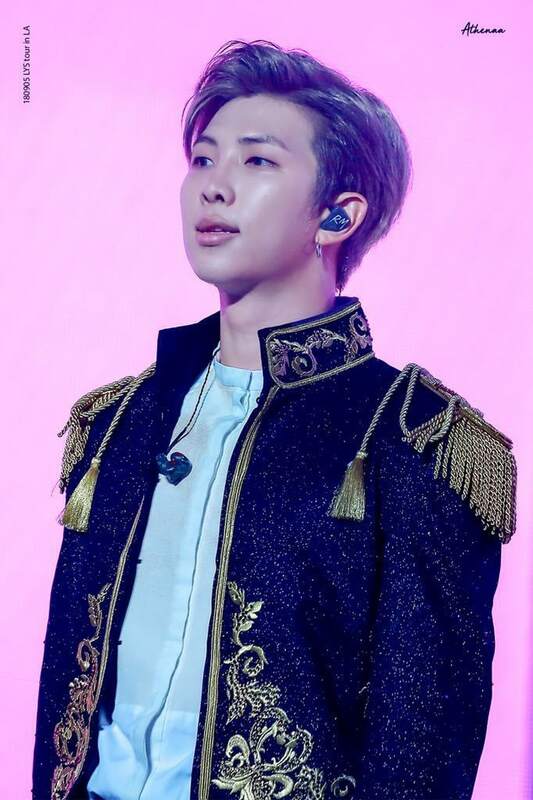 Plus the contrast between the relaxed look and the jeweled collar while RM raps about being humans and love is a concept that will remain in our memories for a long time. 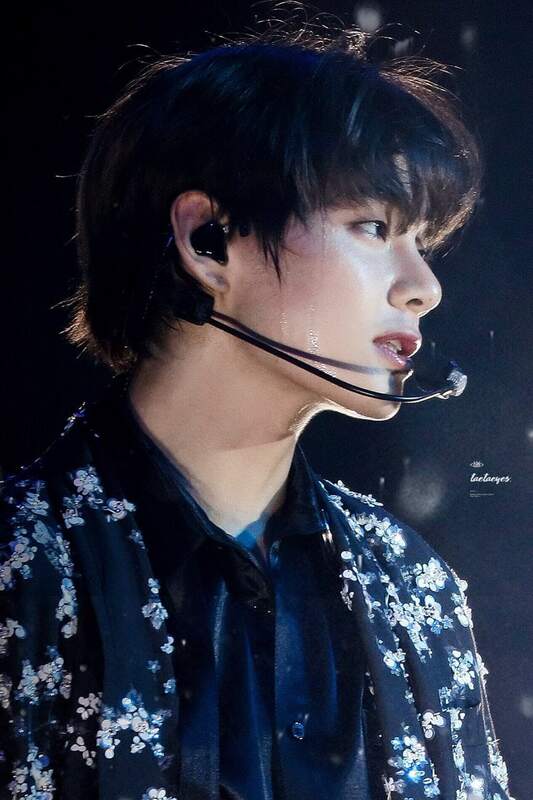 The whole dark concept during “Fake Love” is a very interesting one. Lots of sheer, lots of leather, belts, and chains all over the place, but there’s one harness that keeps on catching everyone’s attention. 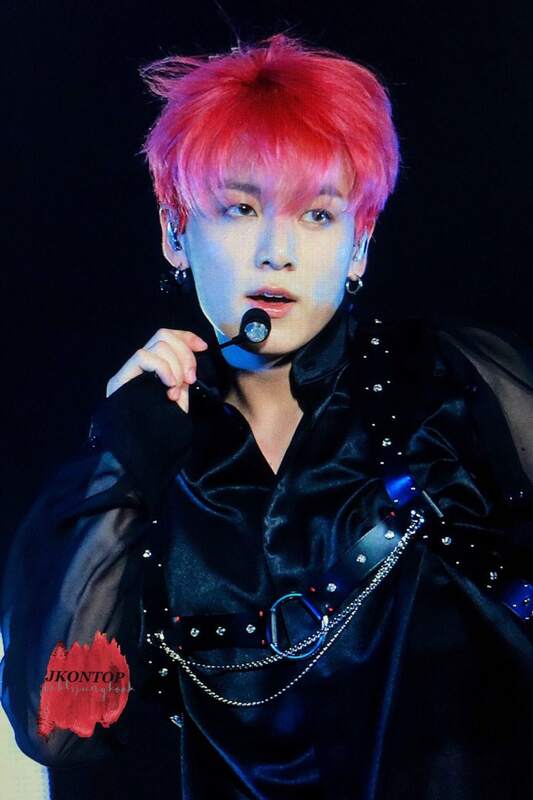 Jungkook actually has two different harnesses, and it’s matter of luck which one you’ll see if you attend a show. 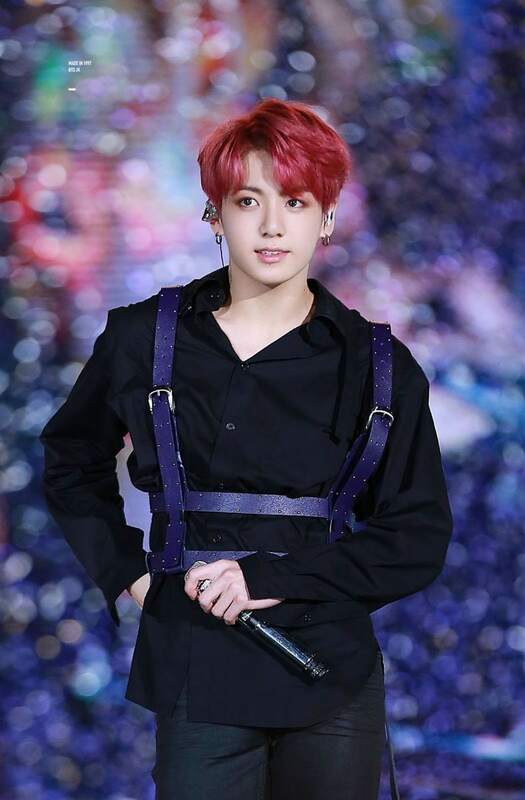 There’s a simpler one that goes around his waist and a jeweled one that lays on top of his chest, both on top of a sheer shirt that plays with the choreo movements and the lighting while he performs. 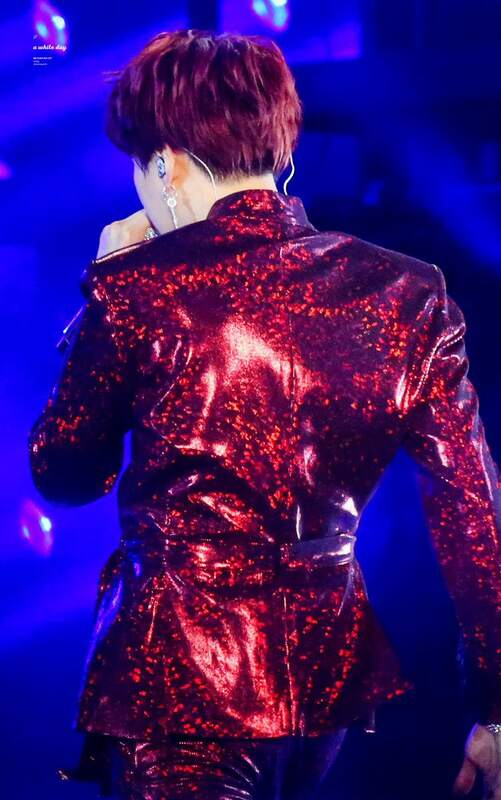 While I’ll admit I’m a little disappointed the matching pants abandoned us at some point during the tour, Suga’s red suit is by far one of the fashion icons and best moments during the show. 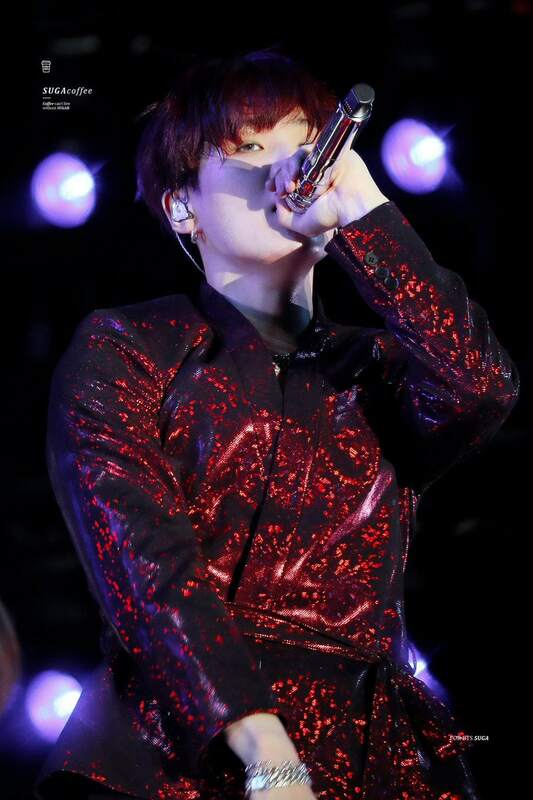 The red sparkling suit not only marks a style statement, but it also became a viral moment on Twitter when a 9-second clip of Yoongi performing “Seesaw” reached millions of views. 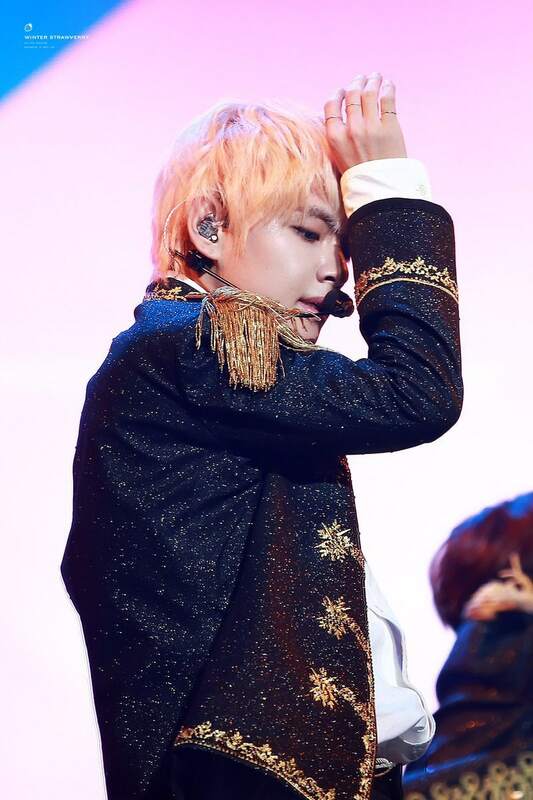 This performance is without a doubt one of the most intimate moments during the concert, so I’m not surprised the outfits are so full of details and perfectly paired to the atmosphere. 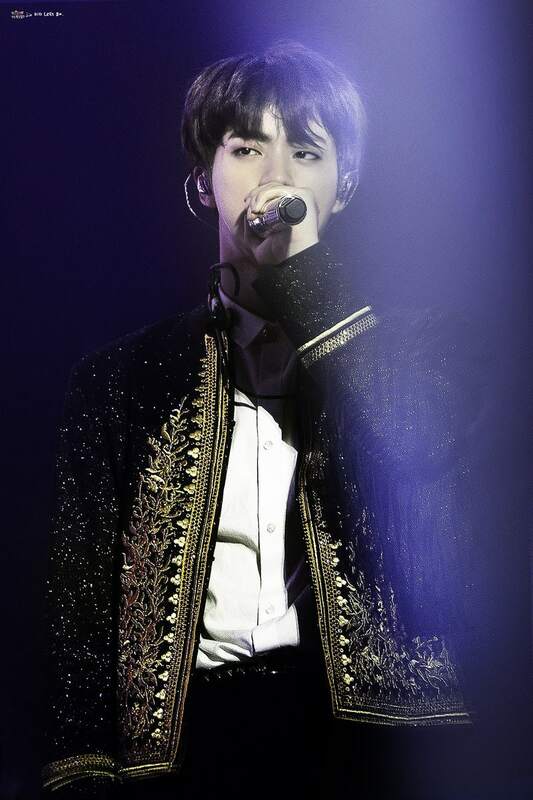 The vocal line shows up wrapped in shirts and blazers covered with 3-D flowers and ruffles, turning this into a moment extracted from the most romantic and Shakespearean drama you can imagine.